Mad Wave's LADA one-piece swimsuit is ideal for recreational swimming and regular training in the pool! The model is made of extra-durable chlorine-resistant fabric (Xtra Life LYCRA fabric), which lasts up to 10 times as long as conventional swim fabrics. The LADA swimsuit features Techno Back technology and has a high leg height. Molded cups for extra bust support. Mad Wave's AMBITION one-piece swimsuit is the perfect choice for regular training in the pool. The model is made of extra-durable chlorine-resistant fabric (Xtra Life LYCRA fabric), which lasts up to 10 times as long as conventional swim fabrics. The AMBITION swimsuit features Active Back technology and has a high leg height. Mad Wave's LADA PBT one-piece swimsuit is ideal for recreational swimming and regular training in the pool! The model features Techno Back technology and has a high leg height. Made of extra-durable chlorine-resistant fabric (TRAINING LINE). Full sports swimsuit with Closed Back. Medium leg height. Base Xtra Life fabric line. Ideal for regular training. 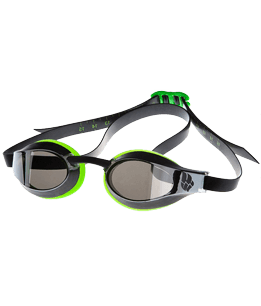 The Mad Wave's ULTRAVIOLET Swimming Goggles are a perfect choice for young swimmers! They have innovative photochromic lenses which transition the color in response to changing light conditions. Also the model features advanced anti-fog coating and adjustable nose bridge delivering clear vision and comfort.